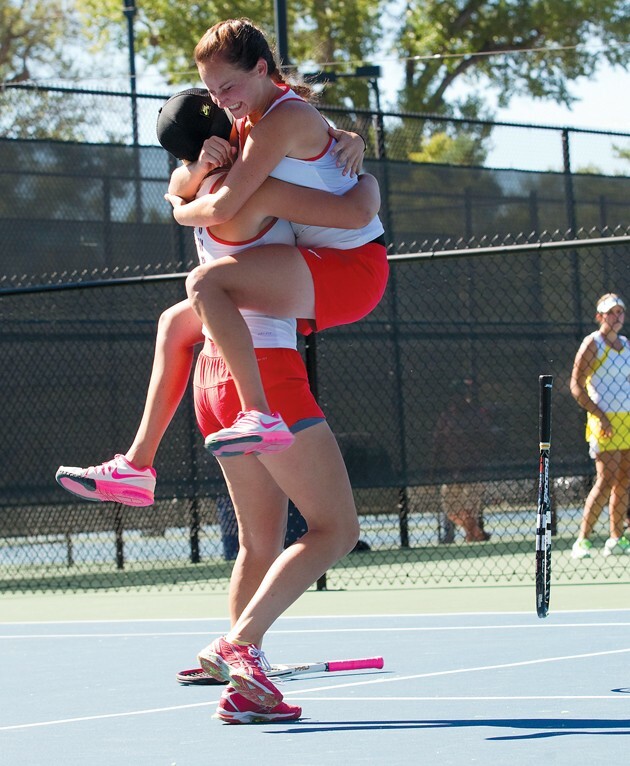 Grantsville’s Whitney Castagno hugs her doubles partner Lexi Jackson after the pair defeated region foe Park City’s Marina Mayo and Julianna Signor to win the 3A state tennis championship in first doubles on Saturday at Liberty Park in Salt Lake City. One point separated the Grantsville Cowboys from catching Park City for the girls tennis state championship on Saturday. But the second-place, 23-24 finish to the Miners — Grantsville’s best since the team won state in 2003 — was better than the Cowboys expected from a tough season in a new region, said coach Steven Thurgood. 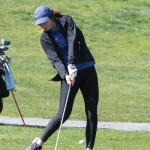 The biggest unexpected boost for the team was junior Bailie Sandberg’s victory over Park City’s Gabby Rockwood for the second singles individual title. Sandberg, who had lost to Rockwood three times in Region 10 play, answered each one of Rockwood’s blistering shots with a gentle lob over the net. Rockwood became visibly upset during the long rallies, and at one point was even advised by a line judge to calm down. Sandberg claimed the first set 7-5, and won the second set 7-6 after a tiebreaker. After the previous matches, Sandberg said, she was familiar with Rockwood’s playing style and consciously decided to change her own style in an effort to combat it. Both doubles teams also won their respective individual titles against tough Park City teams. Seniors Whitney Castagno and Lexi Jackson took the first singles title after defeating Marina Mayo and Julianna Signor 6-2, 7-6 — the closest finish they had in a tournament full of 6-0 and 6-1 wins. Senior Becca Toone and sophomore Marissa Linares eked out a narrow win of 7-6, 7-6 against Holland Steglich and Candice Gubler of Hurricane in the semifinals to take on Caileigh Lydon and Marisa Zanetti in the final round. They fought hard for their 6-4, 6-4 win in that round for the top prize. Grantsville senior Morgan Matthews also gave a strong showing in the state competition, climbing up through the ranks of the tournament with a slew of 6-0, 6-2 wins before falling to Park City’s Taylor Matz 2-6, 2-6. First singles player Kayla Johnson came from behind to win her first match against Juan Diego’s Ragan Sorge 3-6, 6-2, 6-0, but the sophomore fell to Desert Hills’ Madz Eames 2-6, 2-6. Despite claiming three of the five individual first-place titles, Park City had more higher-place finishes — Park City competed in the finals for all five categories. “No one else helped us out,” Thurgood joked about other schools beating Park City in the tournament. 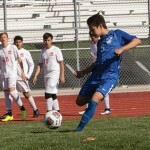 Despite Park City being a thorn in the Cowboys’ side not only in state play but for the entire season, Thurgood said the extra competition has made his team stronger than in past years when Grantsville reigned as the undisputed tennis champs of their region. The season has also been one of tough love for the Stansbury Stallions, who also sent teams to state in all five categories. Second singles senior Kenzie Didericksen won her first round against North Sanpete 6-4, 6-3, but fell to Snow Canyon 0-6, 0-6. Second doubles players Hannah Christopherson and Lindsay Trussell also defeated North Sanpete 6-4, 6-4, and gave a good fight to Desert Hills but ultimately lost 1-6, 1-6. In first singles, senior Sydney Squires lost to Logan 1-6, 0-6; while in third singles, junior Kaileigh Burge finished 2-6, 4-6. Stansbury head coach Jacob Jones said while the Stallions might not have finished as high as their neighbors to the west, he was pleased with the team’s performance, both individually and as a team. Stansbury will be losing three seniors next year, but Jones said he is encouraged by the improvement and hard work that he’s seeing out of some of the team’s juniors and sophomores. “We’ve been really lucky the last few years to get some really solid players. Hopefully that will continue and we can keep building to where we can compete harder against these top teams,” he said. 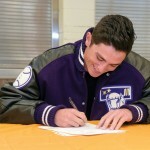 Thurgood said next year will be a tough one for the Cowboys, as four varsity players will be graduating. But, he said, the underclassmen on the team show promise — if they all work hard to improve themselves as players, even off-season.